A team of researchers from the Milken Institute School of Public Health found that nearly 3,000 people died in Puerto Rico between September 2017 and February 2018 in the aftermath of Hurricane Maria. Puerto Rico’s government increased its official Hurricane Maria death toll to 2,975 Tuesday following the release of a highly anticipated report from the Milken Institute School of Public Health. The estimate is more than 45 times the government’s original official death toll of 64. The study, initially commissioned by Gov. Ricardo Russelló in February, found that there were no established guidelines, communication or training for doctors to certify deaths after disasters, contributing to the inaccuracy of the initial death count. The estimated death count is about 22 percent higher than the number of deaths that would have been expected if a storm hadn’t hit, according to the report. Hurricane Maria ravaged Puerto Rico in fall 2017, flooding the island and wiping out food and other resources. Some residents are still without power nearly a year after the disaster. The team of researchers analyzed death certificates and used a mathematical model to compare the number of deaths during the months following the hurricane to the number of deaths historically tallied during those months. The report, which cost roughly $300,000 and was initially expected to be released in May, found that the risk of death post-hurricane was highest in Puerto Rico’s poorest communities – about 60 percent higher than expected in a typical year. Older men also faced a 35 percent higher risk of death than expected, according to the report. 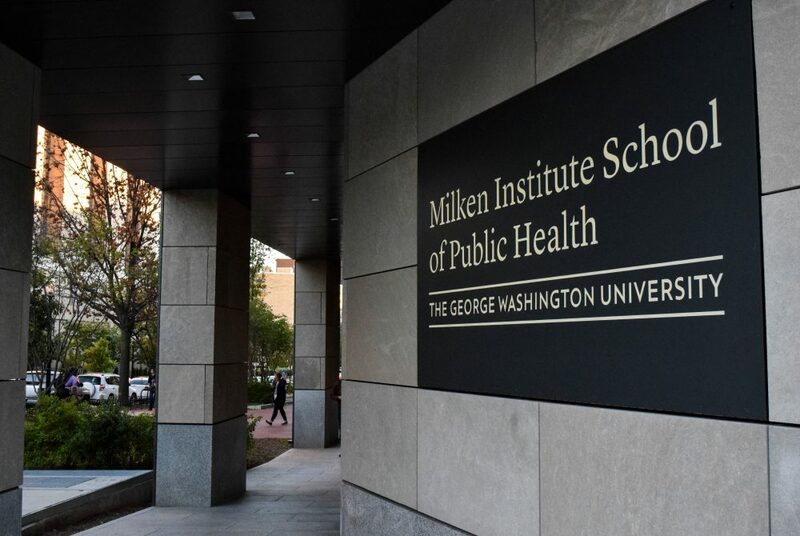 “The lessons learned from this report and subsequent studies will help not just Puerto Rico, but other regions in the U.S. and around the world that face the ongoing threat of hurricanes and other natural disasters,” Milken Dean Lynn Goldman said in a public health school release Tuesday. The report also included recommendations for the Puerto Rican government to improve communication about death counts after a natural disaster in the future. Researchers recommended that the Puerto Rican government develop ways to “rapidly assess” mortality rates after natural disasters, with an emphasis on high-risk populations, according to the release. “Armed with that information, public health officials can more quickly identify populations at risk and develop interventions aimed at protecting the most vulnerable citizens,” the release states. The report suggested that Puerto Rico fully staff the Department of Health and create a new crisis and emergency plan that involves both high-government officials and local stakeholders. The study also encouraged further research on the specific circumstances of individual deaths during the hurricane, which researchers said could help protect the island’s most vulnerable groups in a future natural disaster. “We hope this report and its recommendations will help build the island’s resilience and pave the way toward a plan that will protect all sectors of society in times of natural disasters,” Carlos Santos-Burgoa, the principal investigator of the project and a professor of global health, said in the release. Milken researchers will follow up on the initial review with a more comprehensive analysis of the death toll in early 2019.